As r&b album sales have dwindled over the past few years, we’ve seen many of the genres legendary artists begin to release music less frequently. Instead, they spend the majority of their time performing shows across the world and selling out venues off of the strength of their timeless hits. Keith Sweat is a great example of one of those artists. He took nearly five years between albums before releasing his latest “Dress to Impress”, yet still found great success with it. Most importantly, it served as a powerful tool to keep his name in the mix and keep him in further demand for touring. He also impressively landed a Las Vegas residency coming up next month that will add yet another chapter to his impressive legacy. 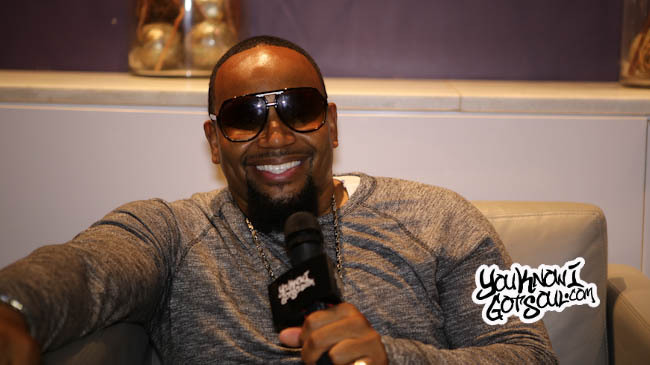 YouKnowIGotSoul sat down with Keith Sweat during a recent promo run in NYC and discussed what to expect during the residency, the creation of his latest album “Dress to Impress”, memories of releasing his debut album “Make it Last Forever”, adapting to the current landscape of music, and much more. YouKnowIGotSoul: You recently announced the news of your upcoming Las Vegas residency. Talk about the excitement around that and what we can look forward to. Keith Sweat: Oh my God. I’m in Vegas at the Flamingo, in what is better known as the Donnie and Marie room! Hopefully it will be named the Keith Sweat room when I’m finished. *Laughs* I’m excited to be at the Flamingo Hotel doing my residency January 17th until February 4th. That’s the beginning of all things. I look forward to bringing a different type of show than what I’ve done around the country. It’s just me alone so I don’t have to worry about an opener other than comedian Aries Spears. I can just enjoy doing the entertaining of the crowd and having a very intimate setting. The room holds about 750 people which for me is just enough for me to do what I need to do in a major way. YouKnowIGotSoul: This will be a great start to 2017 for you, and of course this is celebrating the 30th anniversary of your debut album “Make it Last Forever”. What was the feeling like when you released that album? Keith Sweat: Just to be able to release an album back in the day when I came out was very gratifying. Most people were not given the opportunity. Today on social media, you can release anything and everybody will hear it. Back in the day, that was your only outlet, getting a deal with a record company and them distributing it around the world. For me to have been able to do that back then and knowing the album is still relevant to this day, is a great feeling. YouKnowIGotSoul: You released the “Dress to Impress” album this year. What was your goal for the album, and did you feel like you achieved it? Keith Sweat: My goal was to bring good music back. I think I’ve achieved it because I’ve got two songs that went top 10 off of that album. I’m still getting ready to release one more single from the album at the beginning of the year. I think I achieved it. The album is still selling and people that I’ve heard talk about the album really like it. For me, that says a lot when people can still tell me I still got it. For that to have happened, for me to hear that, that’s very refreshing. YouKnowIGotSoul: Do you have the next single picked out? Keith Sweat: It will be the song “Tonight”. YouKnowIGotSoul: Talk about your creative process a bit. Is it the same creating your latest album as it was during your debut? 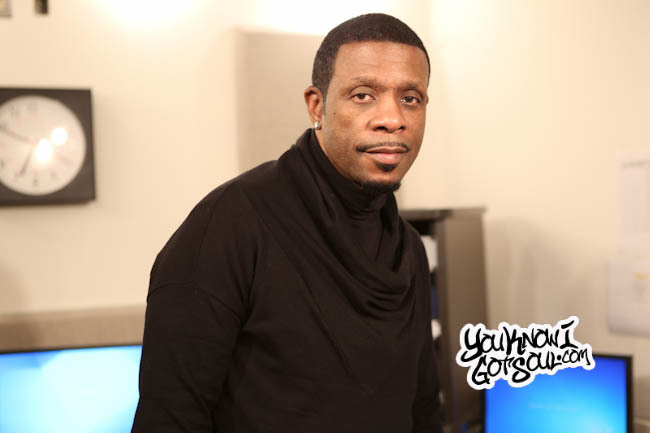 Keith Sweat: My process is always the same. Maybe that’s why I stay so consistent, it really doesn’t change. I only know one way to record and do things. In terms of creating new music, I’m willing to even branch out and take a slight gamble, but I’m not going all the way far left. I’m not trying to reinvent the wheel. I tell people if it aint broke don’t fix it, and right now it aint broke. YouKnowIGotSoul: As a legendary artist who’s had so much success and platinum albums, how have you adapted to the changing landscape of music where sales aren’t what they used to be? Keith Sweat: Knowing that everybody in my category is either experiencing the lack of sales, it don’t bother me! *Laughs* If it was just me, then I think I’d have a major problem with that. That’s the way the industry is now and the way things are. You adjust to everything. My whole thing has always been as long as everybody else is going through it, I can go through it as well. That’s how I look at it, it doesn’t really bother me, because that’s the norm now. YouKnowIGotSoul: It’s interesting because some of your peers are getting frustrated and chalking it up to lack of support. One of your peers, Joe, has threatened to retire. How do you view that? 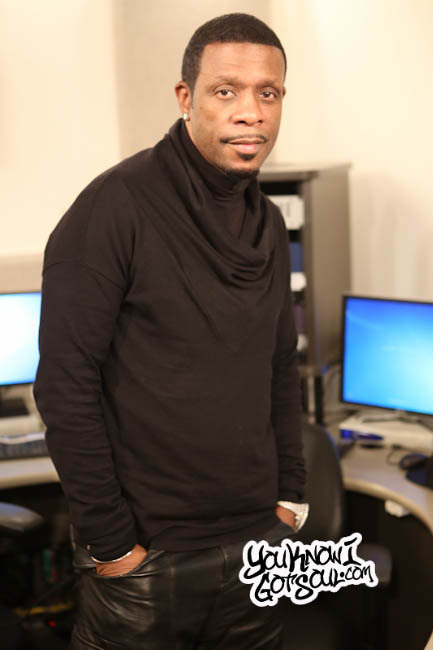 Keith Sweat: I look at music now as just something to keep you relevant. People are still hearing your music. They might not be buying it, but they might be having it and you don’t know it. Your music is still out there. There’s nothing you can do about what social media is now or the internet. You just try to find other avenues to make yourself seen and heard. Frustration is not the way to go. Finding a solution is the way to go. If this is what you love and music is your passion, it’s always ways to get through things and find ways to get around things. Joe is an incredible vocalist. I think it would be sad if he retired. I know I would miss him from the music scene. My whole objective to all of that is, touring says a whole lot. We’re still able to go out and do multiple dates. That means somebody is listening to you. The people that buy music might not be able to afford to buy music. It might not even be a situation where people don’t want to buy your stuff. It might be a situation where they can’t afford to buy it because food prices are too high. I can respect that. YouKnowIGotSoul: How do you see the rest of your career playing out? Keith Sweat: I plan on going to Vegas! *Laughs* And then selling my albums after the show at my meet and greets. YouKnowIGotSoul: Looking back at this legendary 30 year career, you’ve inspired so many artists along the way. Are there any younger artists that stand out to you? Keith Sweat: There are a lot of young artists that are dope. I’ve always thought Chris Brown was dope as an artist. We already know Usher is dope. Ne-Yo is dope. It’s a lot of them out there that are dope. On the younger tip, I don’t know all of the artists, but there are quite a few artists out there I think are dope. The Weeknd is dope, Bruno Mars is dope. There are a lot out there. I like what Bruno Mars is doing because he’s doing more of that r&b that we know. You can tell that he grew up listening to a lot of that r&b. I commend him because he has that recognition. Now the younger people are feeling like this is some new stuff! *Laughs* We already know that that’s that back in the day stuff right there. YouKnowIGotSoul: What is your favorite part of being an artist? Keith Sweat: Performing. Definitely because you can actually see the crowd responding to the songs and the things you’re doing. Keith Sweat: Make sure you come Vegas and check me out. I have to make a point. The point is that I’m on the strip! *Laughs* Seriously, come out and check me out, you’ll have a great time. We’re going to continue to do this as long as we can. We gonna make it last forever.